That’s not to say you can’t have fun with ‘Beyond Redemption‘ if you’re a fan of these martial arts films, because you definitely can enjoy the thrills and expert fights throughout here. The story is actually something you’ve seen many times before and reminds me of the video game ‘Sleeping Dogs’, or the film ‘The Departed’, where a young guy enters a big mafia family, or in this case the Triads. The twist is that he is actually an undercover cop, who wants to take down the mob organization from the inside out, before his wife has their first kid. Everything is by the book here as far as twists and turns or lack thereof. Brian Ho plays Billy Tong, the undercover officer who is struggling to balance his real life and mob life, and he does a decent job for the most part. Tong’s task is to rescue and keep safe the daughter of the vicious Triad boss, where you can see his character go back and forth in how to handle the dual identities. The rest of the supporting cast either phones it in or plays it over-the-top, which should make you laugh more than pay attention to the film. Fight scenes aren’t on par with ‘The Raid’, but they are still enjoyable with a mix of gun play and ground and pound type of fights. Unfortunately, since there is a low budget here, the film has some shoddy CGI work when it comes to blood, but if you go into the film knowing you are watching a low-budget martial arts film, you’ll be pleasantly happy. 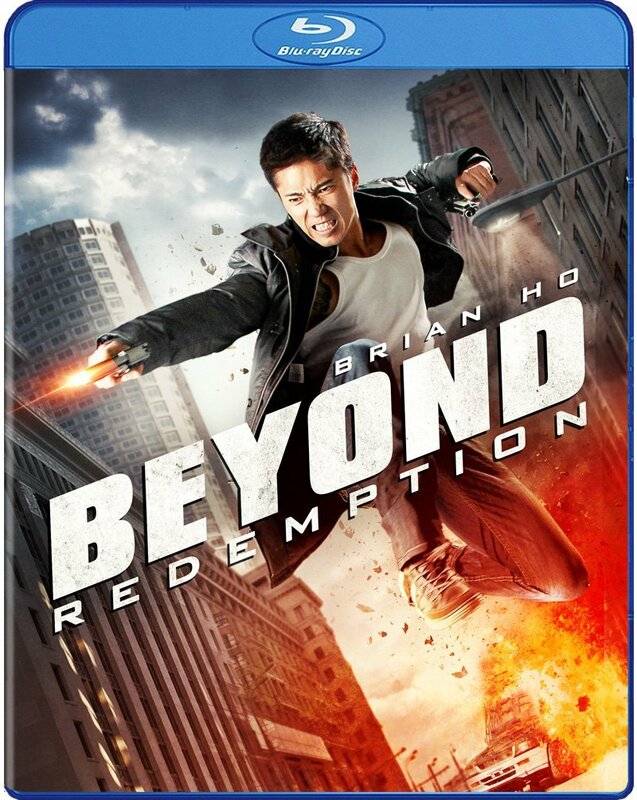 The Video: ‘Beyond Redemption’ comes with a 1080p HD transfer and is presented in 2.40:1 aspect ratio. Well Go USA delivers a decent enough video presentation that showcases all the bells and whistles, despite the low budget and this being filmed digitally. The detail is fairly sharp and vivid that showcases good closeups that show individual hairs and wounds nicely. Makeup effects of gory wounds and bruises look good too. Wider shots are somewhat soft though, due to the digitally shot production. The shoddy CGI effects also goes into softer territory. Colors are mostly on the cool side of things with blues and grays, but some reds stand out in the wardrobe. Black levels are mostly deep and inky and the skin tones are natural. There was some minor banding and video noise, but it’s nothing to write home about, leaving this video presentation with decent marks. The Audio: This release comes with a lossless DTS-HD MA 5.1 mix and does the job well enough, but is not on par to the bigger blockbuster sound designs. Sound effects of gun blasts, hits, kicks, heads being knocked into walls, and people hitting the ground pack a good punch, but is never overly done, which is nice. There just wasn’t a desired effect of yelling out “Ohhh” every time someone got punched in the face. Surround activity is fairly sparse with the exception of the gun battles that provide some good directionality and the low end brings the bass fairly well without going into rocky territory. Dialogue is clear and mostly easy to follow. There are no pops, cracks, or hiss here, leaving this audio presentation with solid marks. Yuan vs. Billy (HD, 3 Mins.) – Some home video footage of the two actors practice fighting in a gym. That’s it. Mauler Opening Fight (HD, 4 Mins.) – Here is some more home video footage of rehearsal of the opening fight scene inside a studio. ‘Beyond Redemption‘ isn’t the best martial arts movie by any means, but it is fun to watch if you’re a fan of these types of films. 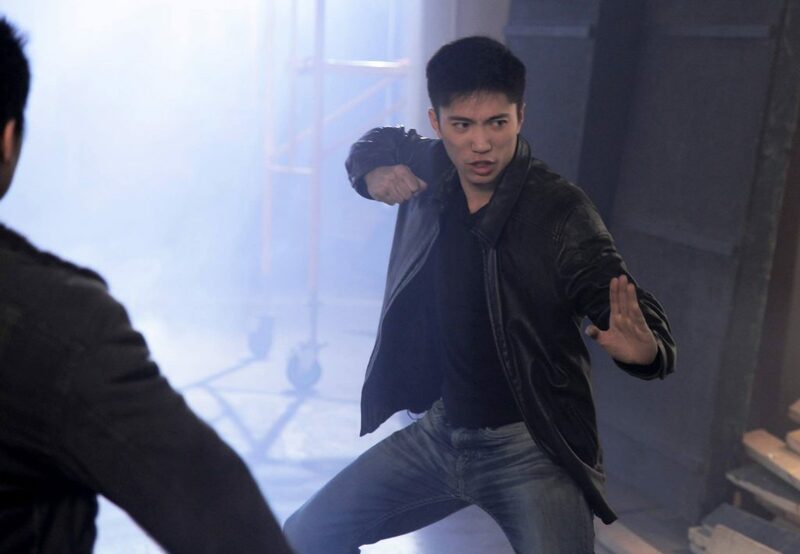 Brian Ho is great in his role and the fight choreography is pretty decent. The video and audio presentations are both solid, but the extras a fairly short to provide any real information or entertainment in seeing how they filmed the fight scenes. This entry was posted on Monday, February 6th, 2017 at 5:44 pm	and is filed under Film, News. You can follow any responses to this entry through the RSS 2.0 feed. You can skip to the end and leave a response. Pinging is currently not allowed. Hey, lookie here, she's a brick... , duh-duh-duh, house.